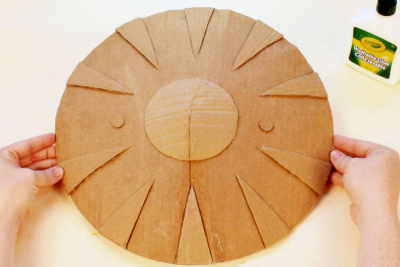 Students use mathematical thinking to design and create a character trait shield out of cardboard and paint it with acrylic or glitter paint. 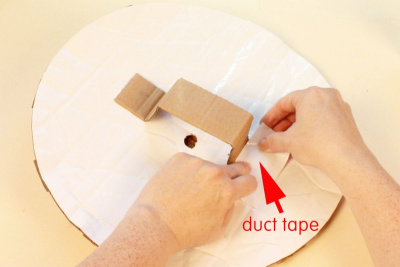 Start by gently bending the circumference of the cardboard into the centre. Make sure the white side is facing up. 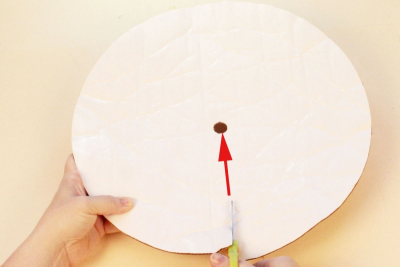 Press down on the surface of the cardboard with your fingers to gradually shape the circle into a concave form. Cut along the radius of the circle from the outer edge to the centre. Squeeze glue along one edge of the cut. Overlap the other edge about 1.5 cm and press the two pieces together. Add a piece of duct tape along the seam to make sure it is very secure. Cut geometric and other shapes out of cardboard. 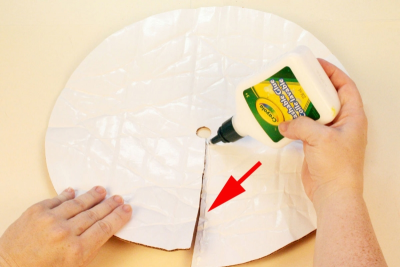 Use white glue to fasten the shapes to the front of your shield. Make sure the edges are glued flat. 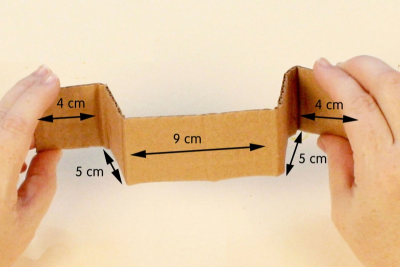 Cut a strip of cardboard about 6 cm x 27 cm for the handle. - starting from the 5 cm mark, 4 cm. Make right angle folds at each measurement. 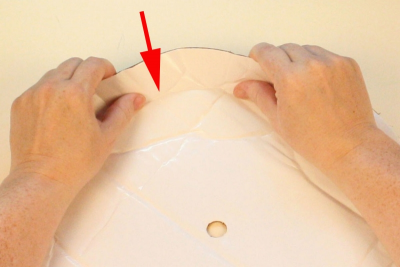 Use white glue to fasten the handle to the back of the shield. 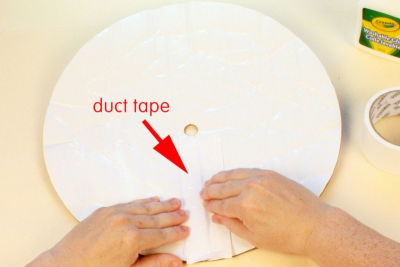 Add pieces of duct tape over each end to make it extra secure. - Using acrylic paint – Paint the shield with one solid colour. When it is dry, drybrush black and/or metallic paint over it to create contrast and texture. - Using glitter paint – Paint several layers of different colours to add depth and richness to the surface. Use a marker to add the names of 10 character traits. share their videos with others. Gather, and make available, books about superheroes, for example, Wonder Woman Vol. 1: Blood (The New 52), by Brian Azzarello and Cliff Chiang; Superman Reborn (Rebirth), by Dan Jurgens, Peter J. Thomasi and Patrick Gleason; and Batman: Year One, by Frank Miller and David Mazzucchelli. Encourage students to choose a superhero book to read and think about prior to beginning this lesson. Download images of familiar superheroes from the Internet, for example, Superman, Batman, and Wonder Woman. If time permits create a sample shield of your own. Place students into small groups so they can help each other, and share ideas and materials. 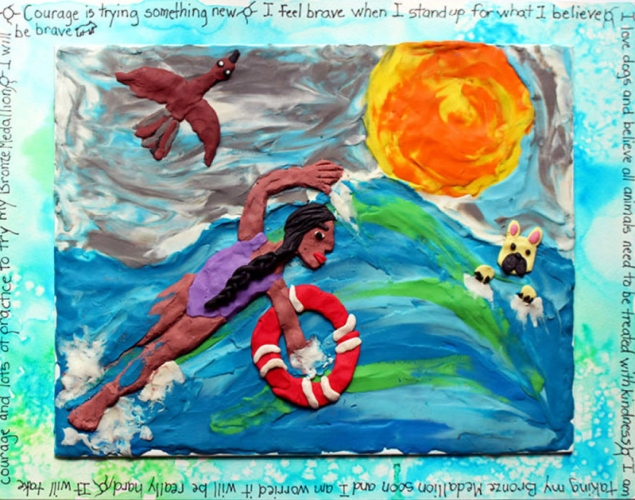 View images of the superheroes and discuss the characters with students. Ask students to share their favourite superheroes with the class, and tell what they like about that character. - Respect – I am respectful when I am polite and treat others with consideration. For example, I held the door open for a parent volunteer. - Superheroes are respectful when they treat ordinary people with consideration and dignity. For example, Superman helps Jim get a good picture for his newspaper after he missed his chance because he was too slow. Discuss how superheroes sometimes use various gadgets and shields. Use mathematical thinking to design and create a character trait shield that includes geometric shapes. 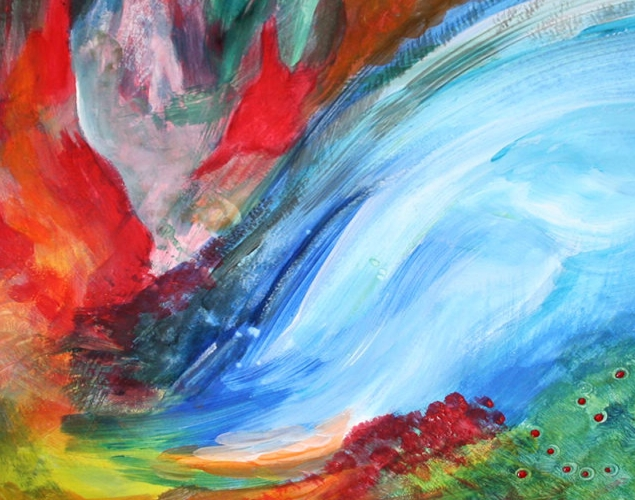 Use painting techniques to create contrast and texture. Compare superhero traits with the character traits you learn in school. Work collaboratively to solve problems. 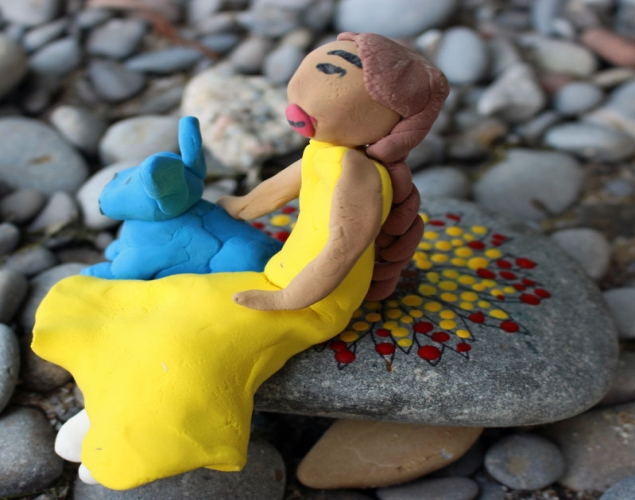 Encourage students to let their imaginations flow. - how they will use their shield. Invite some students to share their ideas with the whole class. 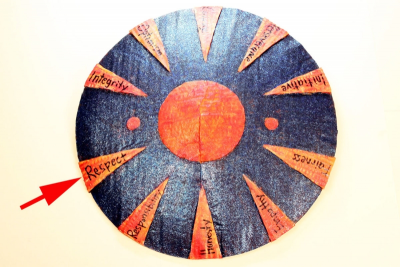 Observe students as they discuss the shields – active listening, insightful contributions, supporting ideas with evidence found in the artwork and from personal experience. - What worked well in your artwork? What do you see that makes you say that? - What would you change or do differently next time? - What did you learn about yourself as you worked through this project? - What do the Superhero character traits mean to you?